Fantagraphics sent over a few new books in the Fall and I’ve been slowly working my way through them. 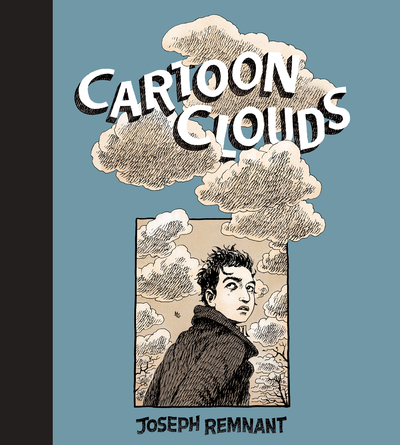 One that I’ve been stewing over for a while is Joseph Remnant’s debut graphic novel, Cartoon Clouds. 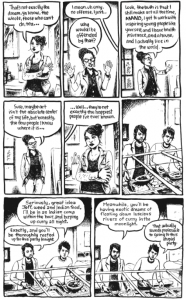 Remnant did the illustration work for Harvey Pekar’s Cleveland, and is anthologized in NOW #2. Cartoon Clouds is a künstlerroman that focuses on a group of friends graduating from art school in Cincinnati. Seth Fallon, the lead character, is a painter and portraitist, and struggles after college ends to find a path in the art world. His best friend Jeff picks up a drug habit and works as a picker, while Jeff’s girlfriend Kat starts putting together group shows on the business side of the art world. Allison, the main female lead, and Seth’s long-time crush, seems like the only one with a real shot in the book. Joseph Remnant’s cartooning is rich and expressive, dark, lovely inks cover page after page of 3×3 grids. The inks and linework are some of the best I’ve seen recently. 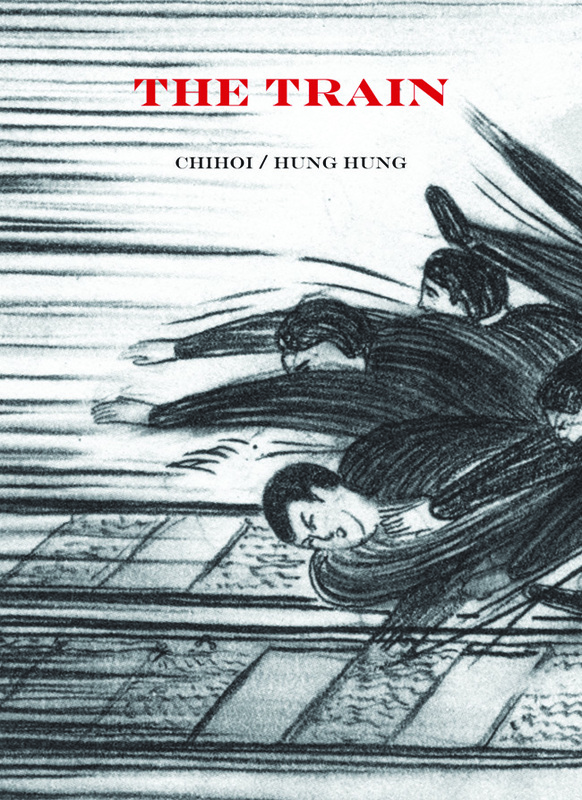 While the art is naturalistic, it still has a cartooniness that works well on the page. Remnant’s drafting ability is remarkable, and the pages are fun to pore over. And it’s a good looking book, a lovely hardcover with strong design. It’s hard not to like the way the book looks on the shelf. I’m impressed with Remnant’s character building and his ear for dialogue. The way his characters interacted on the page was one of the best parts of the book for me – it all felt natural, and it felt alive. Cartoon Clouds is often focused on the difference between the haves and the have-nots; Seth applies for a job only to find out that it’s an unpaid internship that a weirdo with a trust fund from his graduating class ends up taking; he ends up making burritos to pay rent. Meanwhile, Seth feels stymied because the art world is all about who you are and who you know, and the local gallery crew doesn’t love his work. This is the case in any field, so I’m not surprised to see it here. Also not surprising is the Midwest exodus; leaving home and getting to a place where there are “art jobs” is a fairly common occurrence right now. Some great cartoonists have moved west to work for Disney or Cartoon Network, so it’s a contemporary set of thoughts that pervade the book. Also contemporary to the book is the specter of the opioid crisis. Seth’s friend Jeff starts getting into heavier and heavier drugs, snorting crushed Oxycontin and then eventually getting addicted to heroin. It’s hard to know what Remnant is going for here – there’s a sense of desolation throughout the book, and Jeff is clearly set up as the worst-case scenario. While I truly enjoyed Remnant’s ability to write and draw characters, the plot of Cartoon Clouds has a sort of Calvanist morality associated with it; the characters who are seen as most successful are the ones who just constantly work and work, to the detriment of all else. We see in the two male main characters that as soon as they stop making work, they start slipping into the moral crevices of working class life. Jeff’s plot-line, which I mentioned above, is the clearest example of that morality at play within Cartoon Clouds. It’s a distraction and felt a little too black and white for my taste. 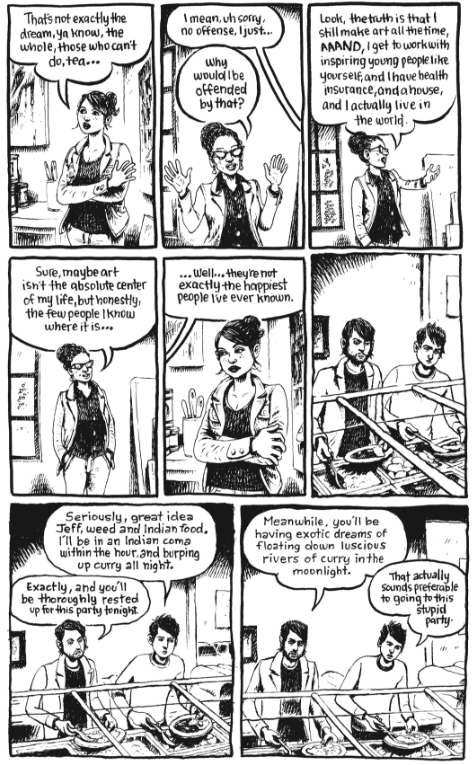 In many ways, Remnant’s work harkens to his slightly older and more established contemporary Noah Van Sciver. Both artists’ work focuses on the lower-middle class, the working poor, and artists trying to find themselves. It seems to me that there is a bit of friendly rivalry between the two; there’s an undeniable feedback loop between Cartoon Clouds and Van Sciver’s Saint Cole, for example. But also clear is a link to the underground comics of the 60s and 70s. It’s hard not to see the influence of Robert Crumb on the style of Remnant’s work. 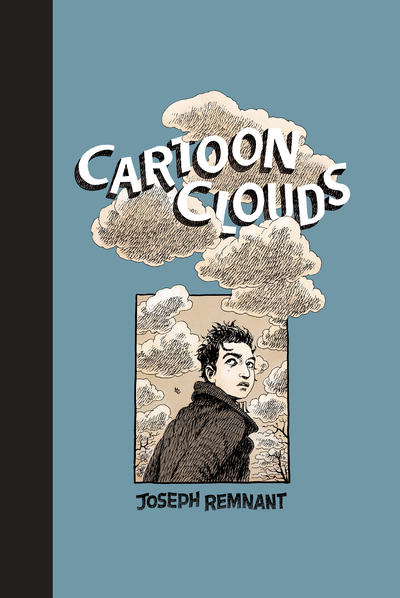 After finishing Cartoon Clouds, and reading it multiple times as I agonized over this review, I came back to a central question: Does the world need another A Portrait of the Artist as a Young Man? Remnant’s cartooning is lovely, and his character and dialogue writing is quite good, but the trajectory of this book is a graphic novel that’s been done ad nauseum. It’s also not lost on me that this book follows a tradition in alt-comics or cartoonists, especially white men, writing about the difficulty of making art. As much as I liked some of the component parts of Cartoon Clouds, I’m less impressed with the whole. Remnant has not added enough to the traditional formula to make a work that breaks free of its well worn path. 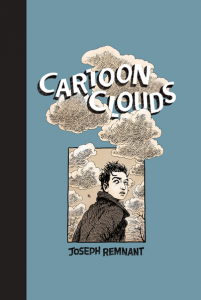 I connected with the characters and the vividness of Remnant’s cartooning, but what Cartoon Clouds convinced me most was to keep an eye out for Remnant’s future work.